* This post is sponsored by Irresistible Me. I’m taking advantage of my orange tree thats blooming its beautiful white flowers to make an easy floral crown today. You can adapt the steps with any type of flower you choose. The orange flowers are very fragile. It doesn’t last long if you decide to pick them from your own garden like mine, you will only have a few hours to play with them. Let’s get started with what you will need for this project. Tie one end of the stem wires together. Measure the circumstances of your head by using the connected stem wires. When you get the right fit, tie the ends together, now you will get the right size crown frame for your head. 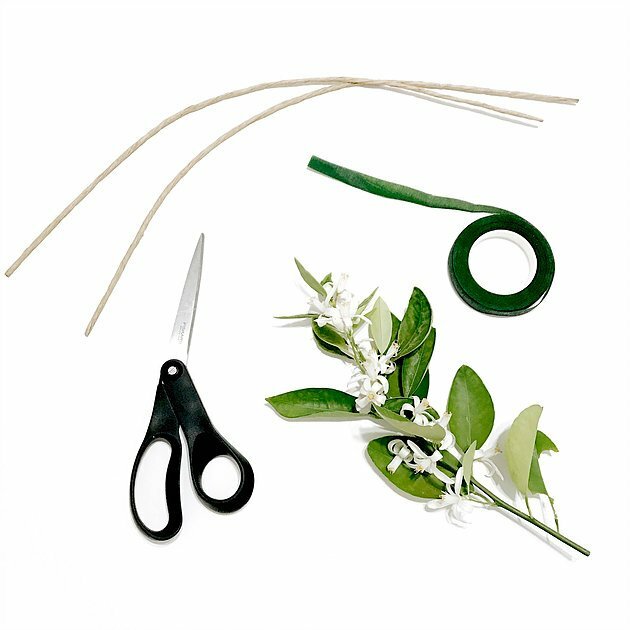 Prepare your flowers by getting rid of some of the leaves from the stems. Cut each stem to about 2-4 inches. Place one stem at a time on the crown frame. Secure the stem with floral tape. Repeat steps 5-7 until you get to the halfway point of the crown or the rest of the crown (depending on your design). 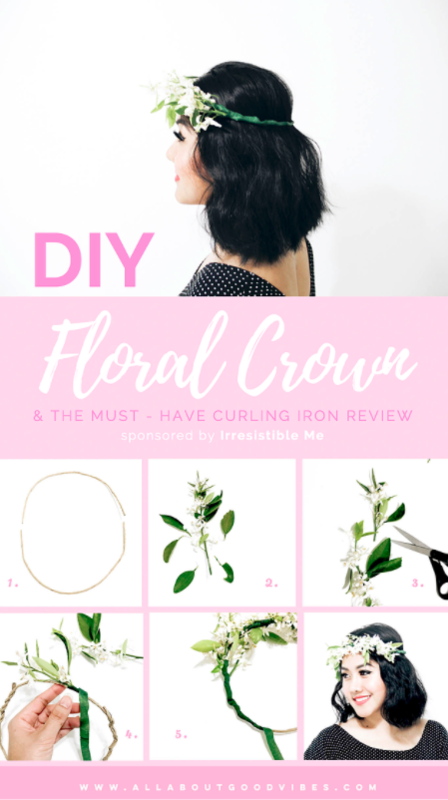 If you decide to only do half floral crown, you will have to wrap the floral tape around the other half. Now your project is complete. Time to have fun and take lots of pictures! It’s a Must Have Wand Curling Iron, “Sapphire 8 in 1 Curler”, by Irresistible Me. 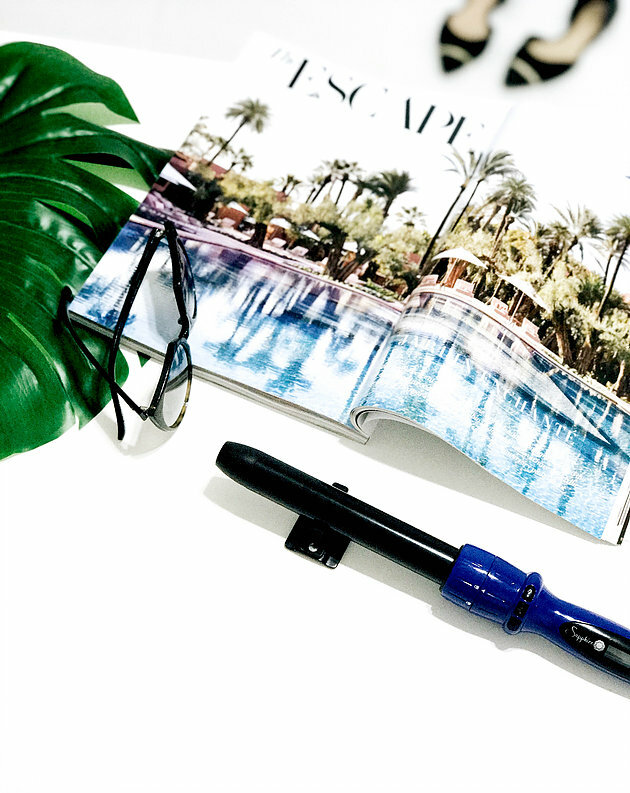 The Sapphire Curling Wand features tourmaline technology and eight different interchangeable barrels. It’s just like having 8 separate hair curlers, but much more affordable and easy to transport and organize. The Sapphire will help you create so many hairstyles and different types of curls while protecting your hair. 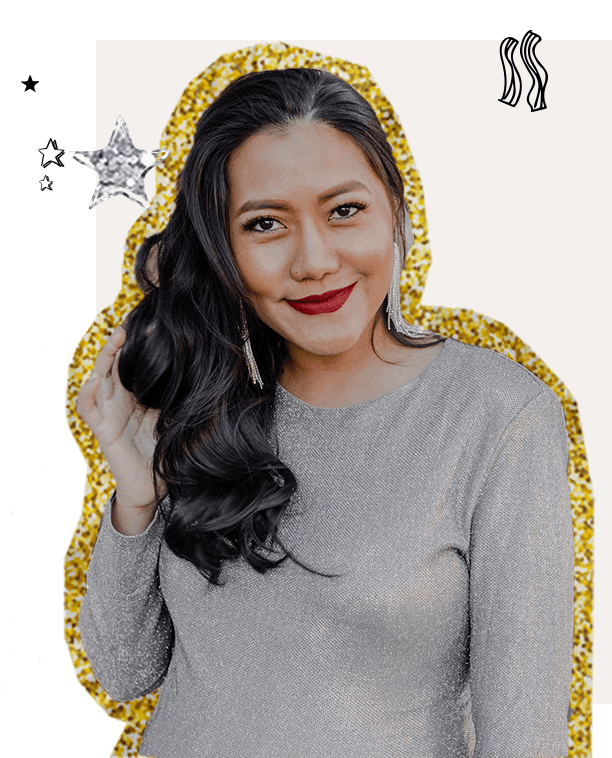 Here are the types of curls you can create when using this wand; tight perm like curls, ringlet curls, spirals curls, ribbon curls, flick curls, large and bouncy curls, beach or wavy curls and finger wave type curls. The tourmaline technology with negative ions leaves your hair smooth and shiny by sealing hair oils, color and moisture in. I love that this curler helps me save time too! It’s fast heating (up to 20 seconds) and variable temperature control (230C/450F). It also has the LED screen to show you the temperature you’re at. You don’t need to worry about burning yourself because the rubber tip of each barrel doesn’t heat up which helps with maneuverability and safety. It also comes with a heat-resistant glove. 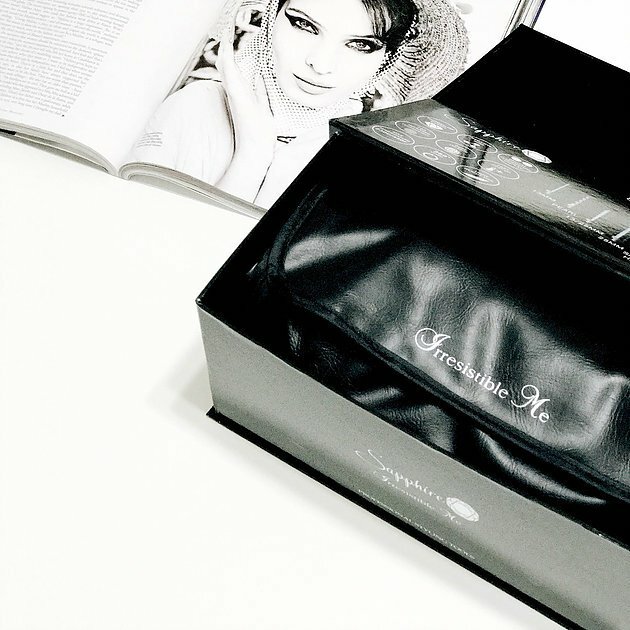 This “Sapphire 8 in 1 Curler” comes in a heat-proof pouch that’s very convenient if you’re travelling so that you can take them with you on the go. It’s a nice way to keep your stuff organized too. I feel like this hair curling wand set is a great investment. 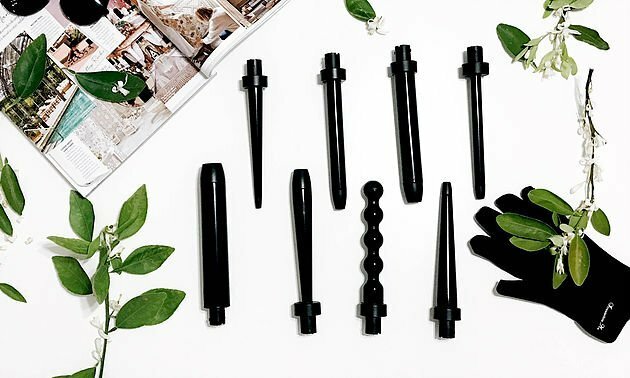 If you love curling your hair and tired of buying different sized wands, you can’t go wrong. This set will be perfect for you for the price, quality, and you will get an 8 in one purchase. Travel friendly is one of the reasons why I like this product. It’s very easy to take this set with you everywhere you go. 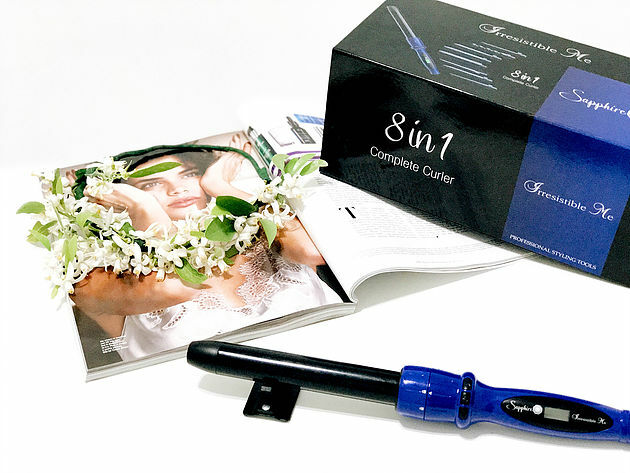 You can go to IrresistibleMe.com and learn more details about this “Sapphire 8 in 1 Curler”. Get a set for yourself, it will be one of the best investment you’ve ever made. See you again soon my love!